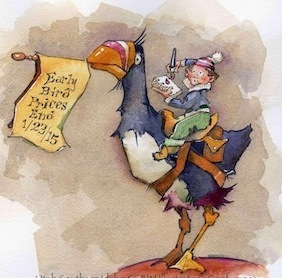 Sherry Meidell is a children’s book illustrator, often using the medium of watercolors. She has illustrated several books, including The Centaur by May Swenson; The Day the Picture Man Came, Emma Jo’s Song, and Full Steam Ahead by Faye Gibbons; The Great Grape Problem and Dr. Welch and the Great Grape Story by Mary Lou Carney; When Pioneer Wagons Rumbled West by Christine Graham; and The Latter-day Times: The Joseph Smith Edition by Carol Williams. She wrote and illustrated The Devil with the Three Golden Hairs. 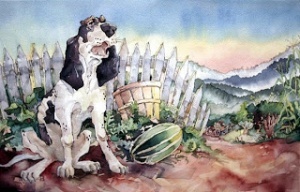 Meidell is a watercolor instructor at the Bountiful Davis Art Center. She also sells fine art giclee prints. She is a member of the National Watercolor Society, the Utah Watercolor Society and the Society of Children’s Book Writers and Illustrators. 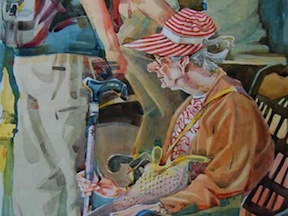 She has received awards from the Western Federation Juried Watercolor Show and the Society of Illustrators, Los Angeles. 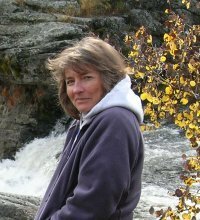 She is Illustrator Coordinator Utah Southern Idaho Society of Children’s Book Writers and Illustrators. She is a presenter and workshop instructor at the annual Plein Air Competition/Workshop at Capitol Reef National Park in Utah. Meidell is a member of The Church of Jesus Christ of Latter-day Saints. She and her husband, David, raised five sons. They live in West Bountiful, Utah. This page was last edited on 7 July 2016, at 22:14.